For nearly two years, Yes 2 Renewables have spearheaded calls for a Victorian Renewable Energy Target. The call has won support from The Standard newspaper, Environment Victoria, The Victorian Greens, James Purcell MLA, and even Premier Daniel Andrews. RENEWABLE Energy Systems Australia has applauded signals from the State Government that it will go it alone on renewable energy. Premier Daniel Andrews gave his strongest indication yet that Victoria could adopt its own Renewable Energy Target (RET) during a visit to the site of the Ararat Wind Farm last week. RES Australia’s head of development, Annette Deveson, said it was encouraging the State Government was looking at similar arrangements to the ACT. “I think it would be very positive and make Victoria even more attractive to renewable energy development,” she said. “There are great resources here, great wind speeds, good solar insulation, so solar projects are also a possibility. 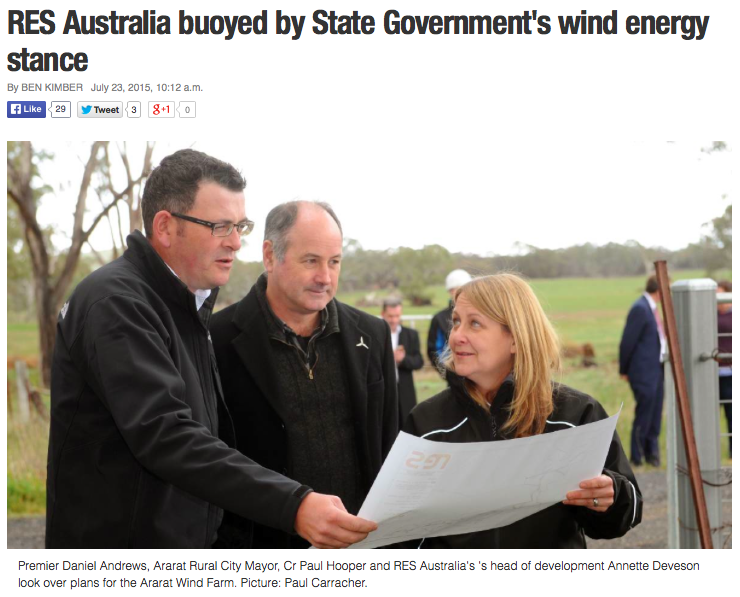 Y2R visited the Ararat wind farm site in 2014. RES Australia is the company developing the $450 million Ararat wind farm. Construction of the wind farm is underway thanks to the ACTs Renewable Energy Target of 90% by 2020. Restored certainty surrounding the national Renewable Energy Target combined with reverse auctions for wind energy to meet the ACT’s renewables target present a winning formula for Victorian policy makers. The combination of national and state level targets building projects can ensure shovel-ready projects get built. 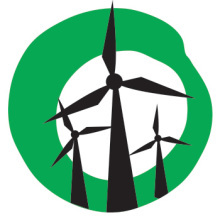 Yes 2 Renewables has long stated that a VRET could win cross-party support. One only has to look at the Liberal MP Louise Staley’s support for the Ararat wind farm (under construction thanks to the ACT government’s RET scheme) to see the Victorian Liberal party is more inline with the community’s views on wind energy than their Federal counterparts. 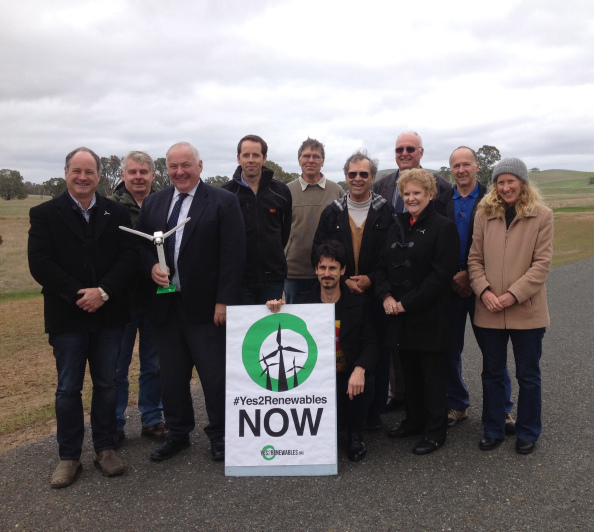 We’re ramping up our campaign for strong and effective renewable energy policies in Victoria. Below are some simple things you can to to support Yes 2 Renewables. Of course RES would back a RET as it increases their bottom line through the public pocket. That’s like asking an alcoholic if they would like free booze. I should have added that RES Australia is UK company so we will see any VRET subsidies disappear overseas.